Photo from Pixabay, CC0 public domain. EPJ Data Science welcomes submissions to a new thematic series on Individual and Collective Human Mobility: Description, Modelling, Prediction. The team of guest editors behind the series talk about their vision and motivation to gather experts from different fields in the effort to better understand human behaviour. The deadline for submissions is 31 January 2018. 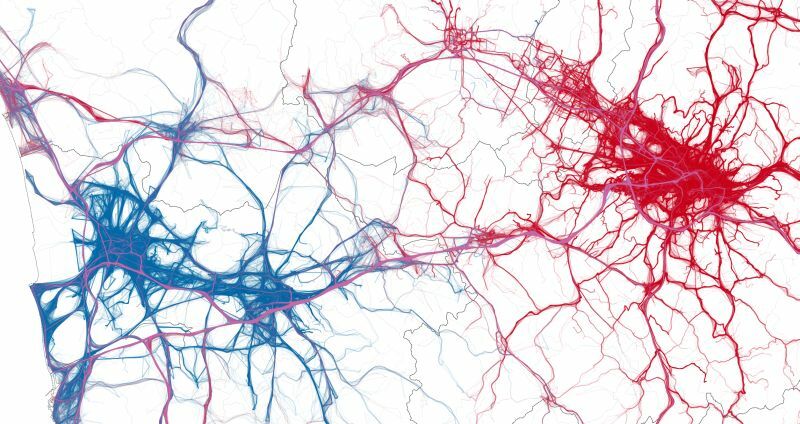 Human mobility is a research area that offers unique opportunities to apply novel models and theories that deal with big data science and collective dynamics, and to get a better understanding of how people behave as individuals and as a society. The number of scientific publications on human mobility has been growing constantly for the last decade, with contributions of researchers from various disciplines that speak different languages and look at the problem from different perspectives. We think that this plurality of approaches is a value, because having multiple ways to describe something can only enrich our understanding and provide further insights. However, the diverse backgrounds of researchers working on human mobility can also hinder the spreading of ideas developed in different disciplines. We want this thematic series to be a venue to collect the latest advancements in the field and to facilitate the communication between the different communities working on human mobility. Continue reading the post on the SpringerOpen blog and find out how to submit to the thematic series here.